The iLong.wave edition is a homage to Carving lovers. 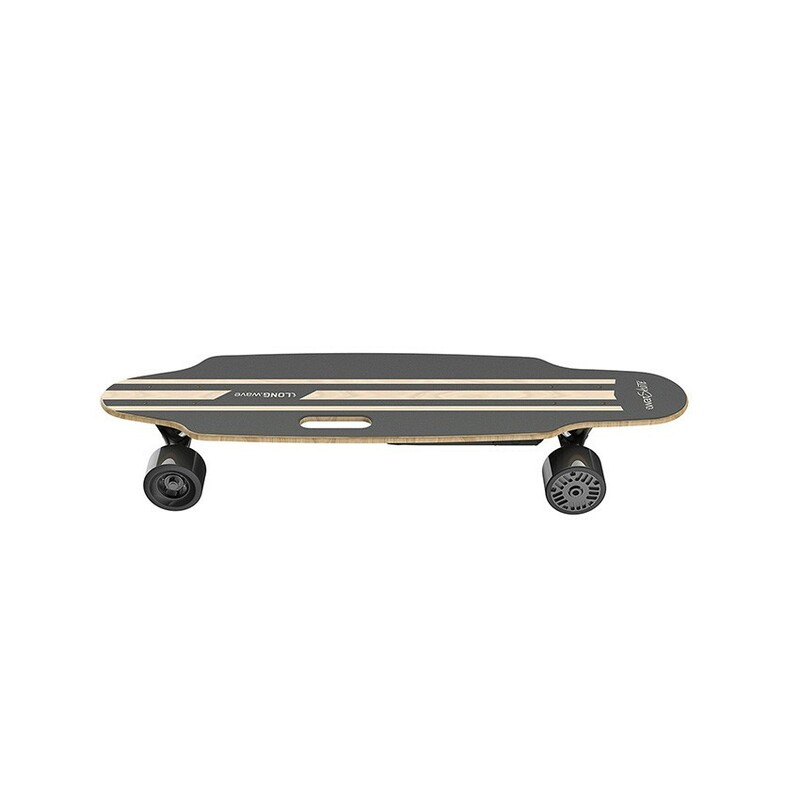 The high quality wooden deck offers perfect flexibility so that you can enjoy every turn. 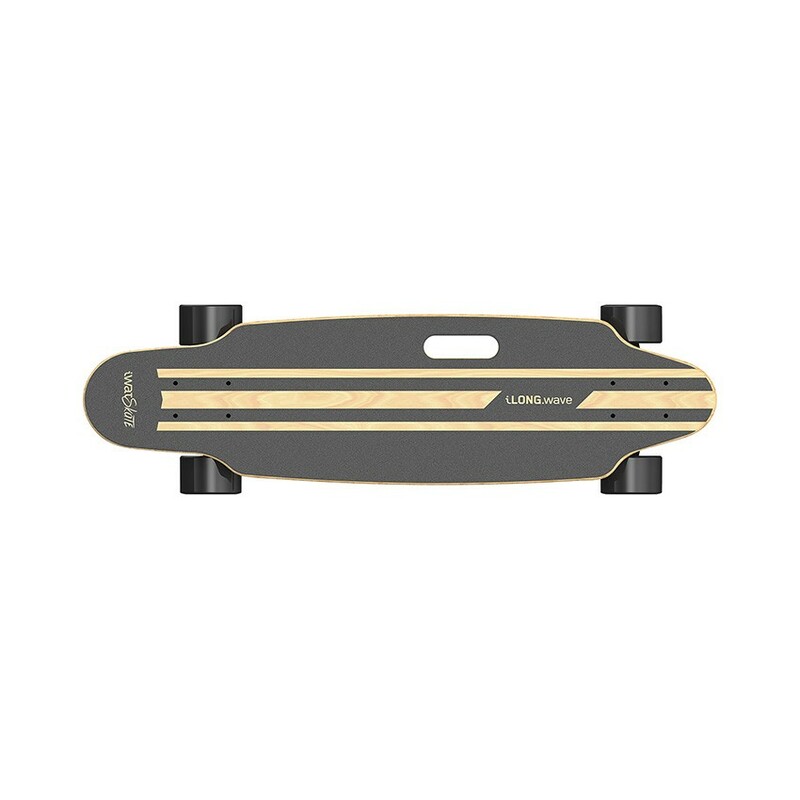 The personalization of the \Riser Pad\ and \Bushings\ provide us with a highly blanaced skateboard that pushes its 400W of power to the max! 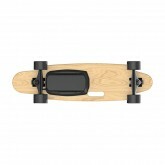 Its convenient wireless controls will surprise you, allowing you to select multiple user modes, speed and gear. 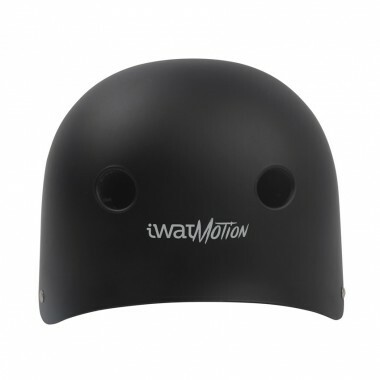 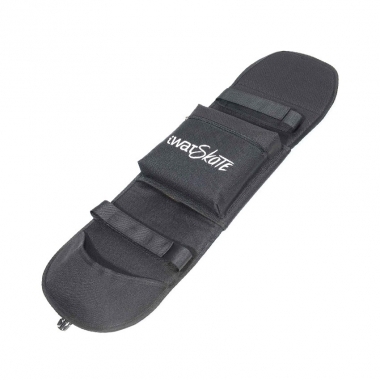 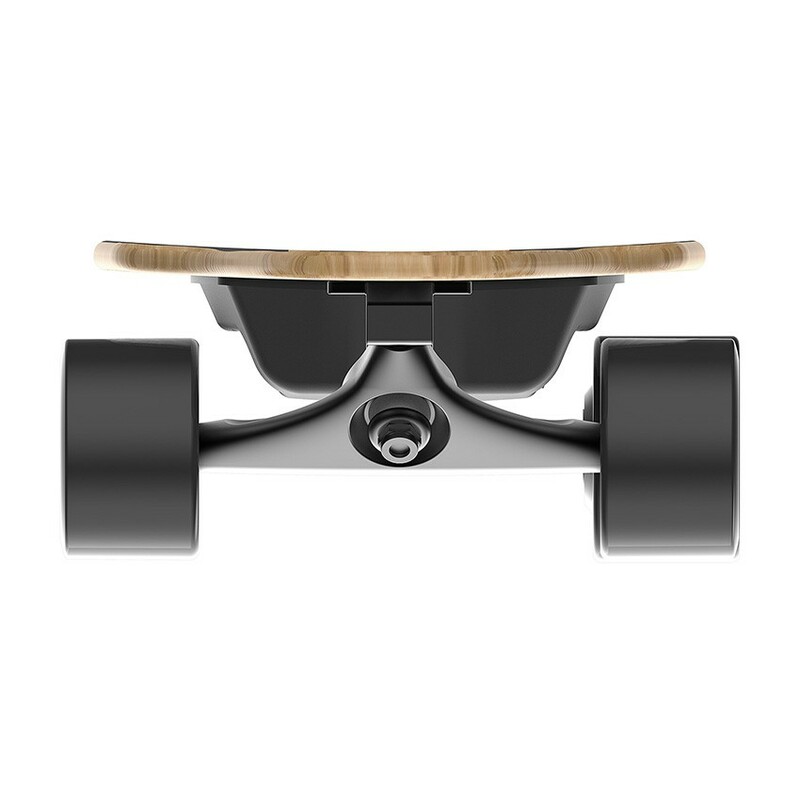 Discover how much fun can be had with sustainable motion, thanks to the iWatSkate. The iWatSkate iLong.wave edition is a homage to Carving lovers. 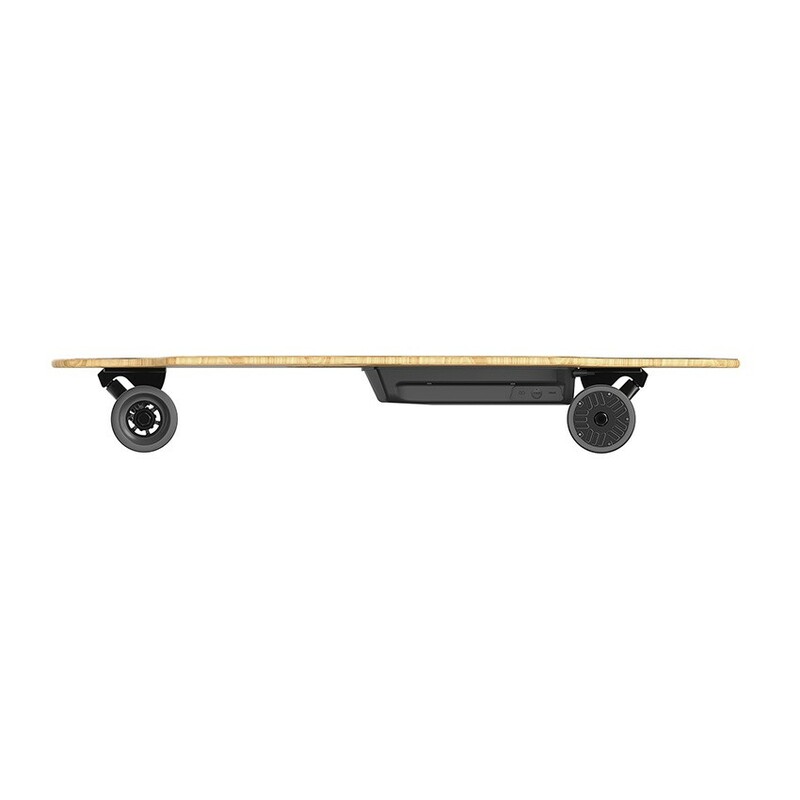 The size of the deck and the axel separation offer higher balance and comfort during trips. 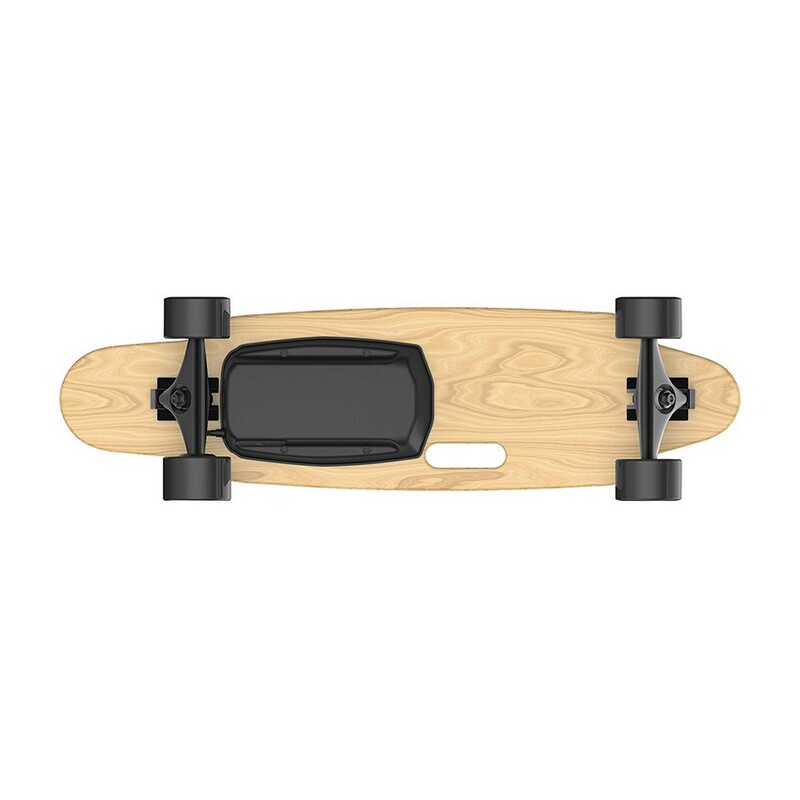 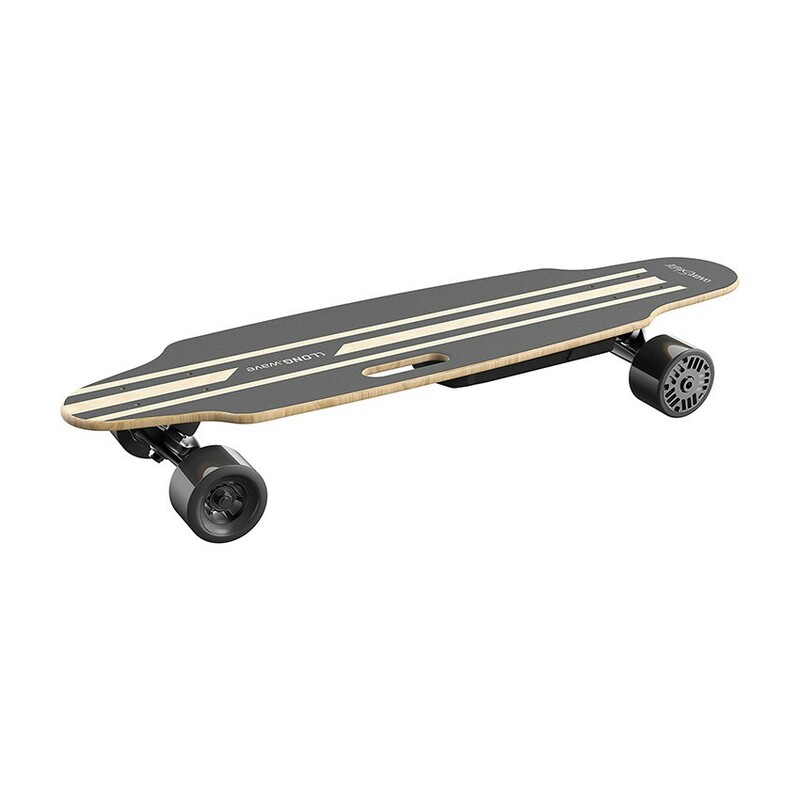 The 400W electric motor, combined with a high quality Li-ion battery give us a powerful and trustworthy skateboard. 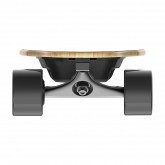 Don\t hesitate and release your inner skater!